Do you know what activities are prohibited for churches, and which activities could jeopardize a church’s tax exempt status? As the next election cycle begins, most church leaders understand that nonprofits can’t campaign for a specific candidate, but may not be aware of other activities that could jeopardize their tax exempt status. 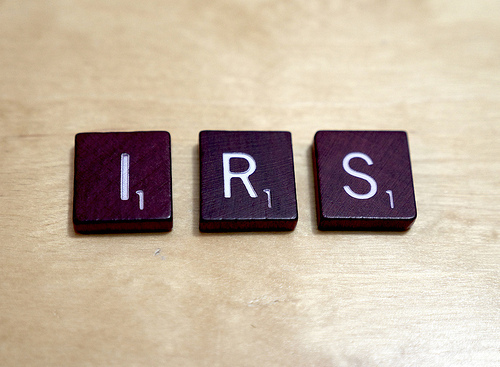 The IRS has listed five prohibited activities for nonprofits in their Tax Guide for Churches and Religious Organizations. Only two of the five activities involve politics. 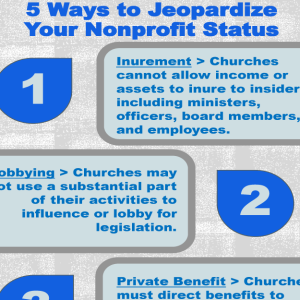 As stated in the tax guide, 'section 501(c)(3) organizations, including churches and religious organizations, must abide by certain rules.” Find out what these rules are, by downloading this helpful infographic.